Download the Pose Avatar file for Blender here. Triplets together 4eva!. There are three versions of both female (shown) and male (no shown), each set up for a specific type of product making them incompatible with each other. Why can’t I use the other avatar files? It is possible to use either Pose or Clothing files to make Accessories but not the other way around, accessories make use of bone locations not their articulation, movement is not needed (for default). Depending on the Avatar Starter File used, selecting and manipulating the same bone or element representing it, a different action is performed and will result in IMVU. Why do the Pose Avatar bones point all over the place? 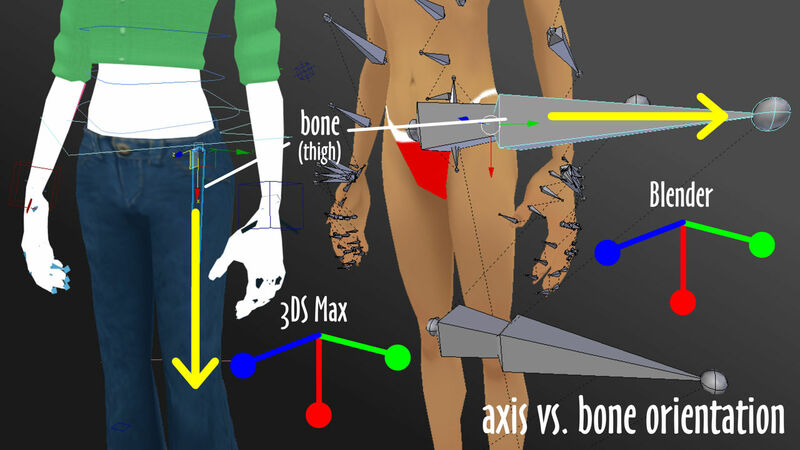 Without getting too technical, bones appear to point in odd directions because they are compensating for a difference found in the original 3D Studio Max avatar files upon which the Blender files were based, namely something referred to as the ‘Global Orientation’ – essentially the names given to the front/back, left/right, up/down cardinal or primary axes, in 3DS Max the feature used to create avatar skeletons is set-up so “Z“, the up/down axis in Blender, points front/back in 3DS Max. Not accounting for this difference in Blender results in, well, disaster and a lot of pain for the avatar!. How do I use the Pose File? For more in-depth instruction on creating avatar poses and animations see the Avatar Animation (skeletal) and Looping/Cycling Animation Education Centre documents. In the mean time, to use the Pose Avatar, open the Avatar Pose Starter File in Blender. 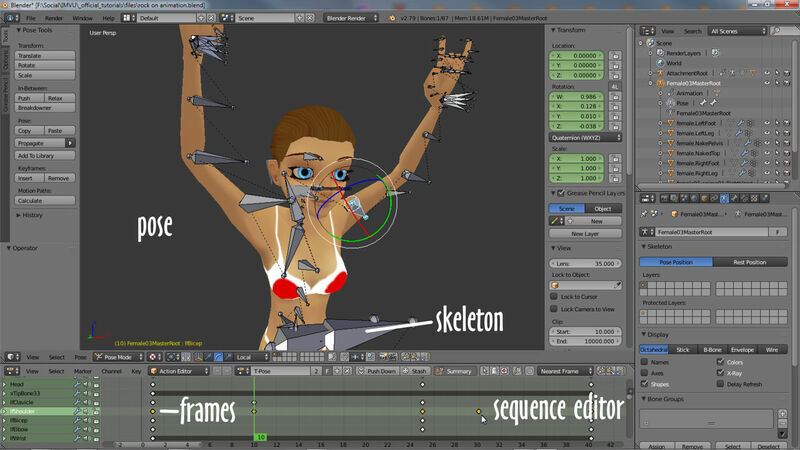 Decide on whether to make a ‘statue’ or animated action and using the defaults present in the file, move individual bones into position and then take a snapshot (keyframe) of the resulting pose or poses. Once a sequence is created it can then be exported to FBX for assembly in IMVU. The *.blend file is pre configured so the Armature and its Bones are ready-to-go. Be sure not to alter them in any way other than to pose the avatar. For static poses and animated sequences most work in done in the main 3D View and the Action Editor below – pose frames are inserted creating a sequence that can be exported.